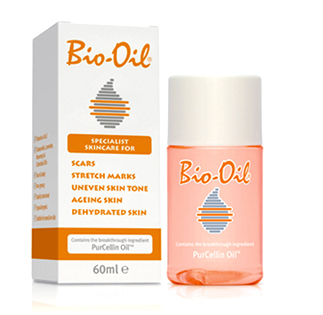 Bio-Oil is a specialist skincare product formulated to help improve the appearance of scars, stretch marks and uneven skin tone. Its unique formulation, which contains the breakthrough ingredient PurCellin Oil™ is also highly effective for ageing and dehydrated skin. Bio-Oil has won 72 skincare awards and has become the No.1 selling scar and stretch mark product in 17 countries since its global rollout began in 2002. * as per independent studies in respective regions. Copyright owned by Union Swiss, South Africa.